Summer is upon us. Each season brings its own joys and unique pleasantries that we often find ourselves looking forward to all year, but summer in particular promises exclusive opportunities that we keep counting down the days to. Summer equals adventure. Adventure can be obtained through a variety of ways but for the outdoorsy type of person, very few activities can beat a good backpacking excursion. The best backpacking trips however demand the best backpacking tents. Not sure where to look or what to get when it comes to backpacking tents? That’s where this guide comes in. Today we will discuss the best backpacking tents on the markets and how to choose a tent to match your unique adventures. Shopping for a tent is like shopping for new shoes. You can’t just walk into a shoe department store and buy the first thing you see. The shoe needs to fit, and in a similar way, so does the tent. When buying shoes you need to know your shoe size. When buying a tent you’ll need the right sized tent for your group. Think about how many people you usually go backpacking with (or plan to backpack with in the future). Will they all be sleeping in the same tent or will some of your group members bring their own? How much room will you need to store everybody’s gear and clothes? Tents are generally sized by how many people you can fit inside of them – this usually does not account for any type of luggage. It may be safe to go a size or two up if you know your group carries a lot of gear, however, backpackers are usually pretty good about traveling light and using what little space they have to their advantage. Much like buying a shoe, buying a tent depends on what you plan to use it for. You wouldn’t buy dress shoes if you’re looking for a sneaker to run in. So while you’d buy a running shoe for jogging, you’d want to purchase a tent designed specifically for backpacking. These tents are designed to be light enough to carry and easy to store so that they aren’t too cumbersome during your hiking portions of a backpacking trip. Later on we will show you some of the highest rated, top of the line tents that are designed specifically for backpacking so that you don’t have to scour the internet sorting through the specifications of different tents. But first, there are a few more things to consider when choosing your backpacking tent. A tent’s durability is recognized with a unit called “denier” which is actually the measured weight of the yarn used to make the tent fabric. Most of the time the denier of the tent’s floor, sides, roof, etc. will all be provided to the customer. The larger the denier number, the more likely the tent will be durable. 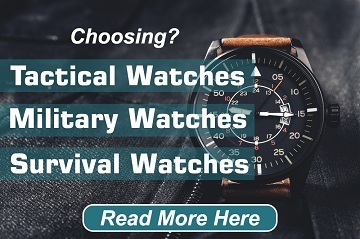 When listed, denier is often abbreviated to “D” so a tent built with stronger fabric may have a 65D while a different tent with less durable fabric will list a 20D. Another factor that goes into determining a tent’s durability is the amount of seasons they are built for. 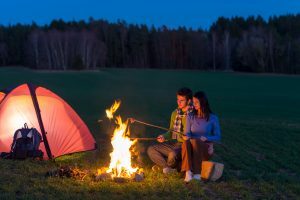 4-season tents promise a comfortable shelter in every sort of condition, while 3-season tents and ultralight tents are designed for the warmer months of the year. While it may seem like a safe bet to get a 4-season tent no matter the conditions that you plan to backpack in, keep in mind that these tents are often too heavy for backpacking trips because they are built up to withstand the weather (and were you really going to backpack in the heavy snow anyway?). If you are crazy enough to do so however, then by all means look for a 4-season tent. Ask yourself a few questions that will factor into making your purchase. 1. Are There Specific Features That You Will Definitely Need from Your Tent? Tents often have many of the same pieces and parts but there are variations in design that may be the make or break to whether or not you select a certain tent. Maybe you’re keen on privacy and want a tent with separating walls or intensely opaque doors, or perhaps you’ll be looking for a tent with a specifically effective rain cover because you can’t stand the thought of waking up even just a little bit wet. Whatever your preference is, make sure that the tent you choose falls in line with your desires. Backpackers prefer to be minimalistic when it comes to the baggage they carry during a trip, so it might make sense that you’d prefer to be minimalistic with the money you spend too. Not all tents are made equally and they are bound to vary in price, so our advice is that you should spend as much money as you think is worth the kind of tent you need. Don’t overpay for a lousy tent, but don’t be so frugal that you buy a flimsy shelter that lets you down when you are relying on it during your next trip. 3. How Should Your Tent Look? Does Appearance Matter? Some people only care about the effectiveness of a tent, but many of us wouldn’t mind having a tent that has some aesthetic plus sides to it. Tents come in all sorts of shapes and colors and you are bound to prefer one tent’s appearance over another. Keep an eye out for tents that look nice but don’t sacrifice function just because you like how a tent looks. It’s better to be rooming in an ugly tent that does its job than a beautiful tent that breaks down on you. Below is a list of some of the best tents available that will serve you well on the trail. We’ve separated them by size so you can find your perfect tent faster. 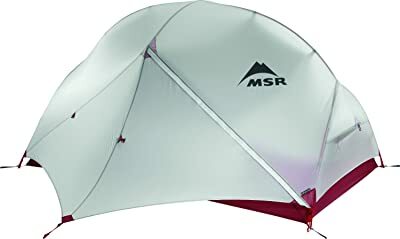 It isn’t the stand alone best in any category, but the MSR Hubba Hubba NX’s nearly 30 square feet should manage to fit two backpackers, the 30D makes this tent a nice 3-seasoner that won’t get too stuffy in the summer, and the 3 lbs. and 7 ounces that this tent weighs will make it easy to carry during your adventures. It is easily accessible due to its two door design and in addition the tent is moderately priced. 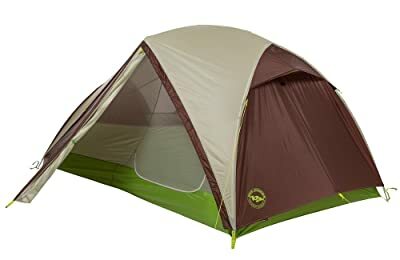 In reality this isn’t the best tent in anyway, but it may be the most balanced, which is a comforting thought to anyone who’s worried about risking one feature for another. 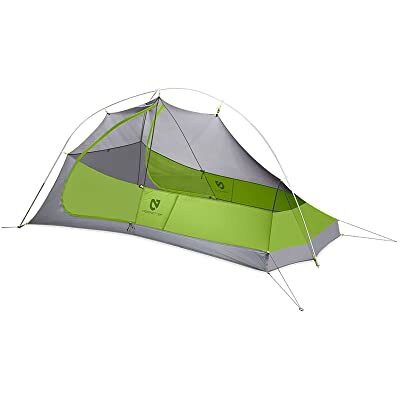 The REI Co-op Half Dome 2 is just slightly bigger than the MSR tent mentioned above, but it blows the Hubba Hubba NX out of the water when it comes to denier. 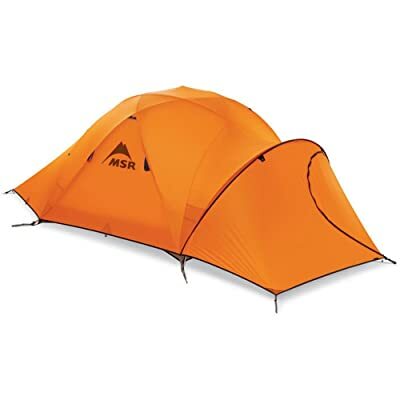 This tent comes in at a 70D denier which makes it theoretically more than twice as durable as the MSR tent. It also has two doors which is a plus when sharing a tent. If weather is on your mind then perhaps the Half Dome 2 is the way to go. The REI is also fairly affordable. For those who are very particular about the weight of their tent, a shelter like the MSR Freelite 2 may be a favorable option. This tent is 2 pounds and 7 ounces, which is a very manageable weight to bear during a lengthy hike. It will still fit two people but unfortunately with the lesser weight comes a catch. The MSR Freelite 2 only promises a cover of 15D, which may not be ideal for wet conditions. Even more ideal for backpackers who are precise with the amount of weight they carry on a trip, the Fly Creek is a staggeringly low 1 pound and 15 ounces. When all packed up you’ll hardly even notice that you brought a tent. The Fly Creek has some plus sides and even still manages to shelter two people but there are some shortcomings. The fabrics of the tent are thin and there is only one door. This is most likely a summer time tent and may be best for hot conditions where a thin fabric may be more appreciated than resented. The Nemo Hornet 2 person tent is slightly heavier than the Fly Creek and weighs in at a well-rounded 2 pounds. However, where the Nemo Hornet 2P falls just short in weight it makes up for in convenience. The Fly Creek has only one entrance but the Nemo Hornet 2P has two. This is favorable to backpackers sharing a tent. You are less likely to disturb for tent mate when getting up if there are multiple exits from your tent. 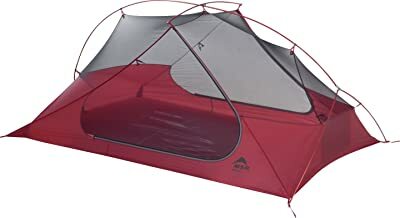 This tent is a worthy rival to the Fly Creek and backpackers comparing the two will have to decide if the extra bit of weight is worth the second door. 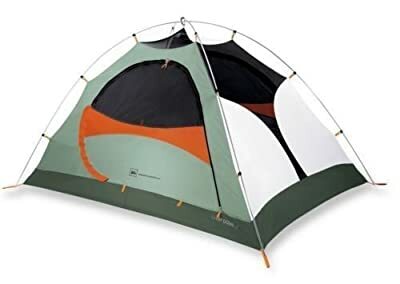 You’ll have an easy time shifting around the shelter of the Rattlesnake SL3 mtnGLO with the simple control operated lights that this tent comes with. You’ll need some triple a batteries but it’s probably worth it for this cool feature. The Rattlesnake SL3 mtnGLO also has the added bonus of fitting an extra person in comparison to the tents above. You’ll run into a bit of trouble when it comes to weight, but that’s to be expected with larger tents. 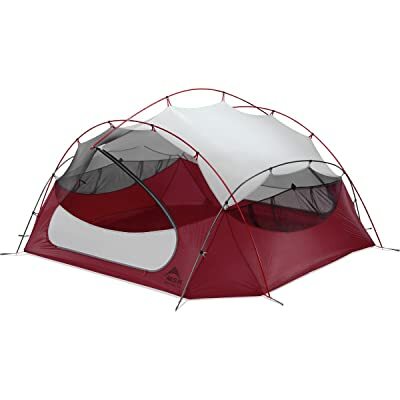 This tent in particular has a minimum trail weight of 4 pounds and 11 ounces. 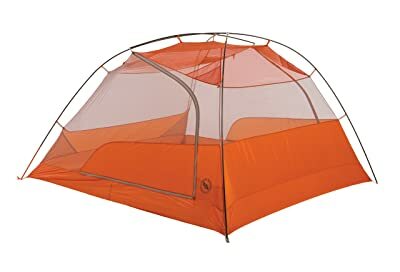 Not only can you fit an extra person into the Quarter Dome 3, but the tent isn’t too much heavier than the REI Co-op Half Dome 2. This REI product promises durability and an attractive design and even has a roof vent to control condensation. Consider this tent a sturdy 3-seasoner. 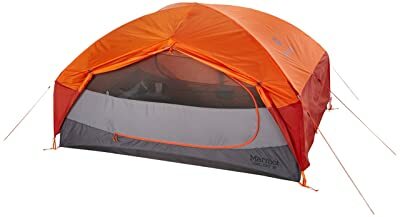 With headlamp pockets on the ceiling and 2 vestibules to keep your gear dry and out of the weather, the Marmot Limelight is a tent that promises utility. You’ll fit three backpackers comfortably. The added footprint will keep your tent keep the bottom of the tent from wearing down. This is a three season tent at a competitive price. Multiply the Hubba Hubba by two and essentially you’ll get the Papa Hubba. This tent is versatile and spacious. It is light for its class because while it is nearly 6 pounds, it fits 4 people. It is a 3-season tent with 53 square feet but it is important to note that while the Papa Hubba promises all this space it does come at a price. When shopping for the MSR Papa Hubba NX 4-Person you will probably not find a retailer parting with it for less than $500. This is relatively cheap however for a tent with these specifications. 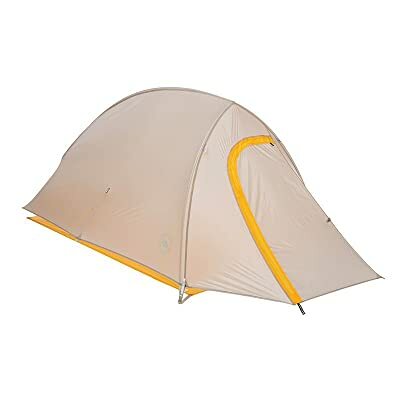 Once you reach the 4-person tent range you are likely to have troubles finding a light tent. This sized up version of the Copper Spur however will only ask you to carry about 5 pounds. If you’re backpacking with a group that plans to share a tent, this Copper Spur is ideal. It is slightly larger in floor size than the Papa Hubba and yet lighter. Conversely however, it is more expensive. Living up to its name in multiple ways, the Stormking is built to be both weatherproof and spacious. It is like the king-sized bed of backpacking tents. It’s large, beautiful, and expensive. 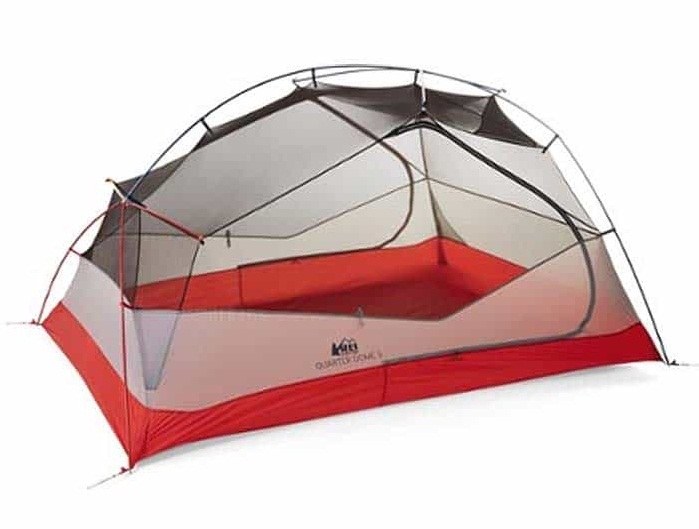 You’ll spend around a grand on this tent and you’ll lug about 12 pounds worth of tent on your back, but you’ll go to bed comfortable in the Stormking and that’s what MSR was thinking when they made it. For those looking for a large tent the Stormking will pull through but groups or larger sizes may prefer several lighter tents than one bulky one. There are a variety of options to choose from when searching for the ideal backpacking tent. What matters most is that the tent you choose will work for your particular type of adventure. There are plenty of good summer sales going on right now and there isn’t a better time to purchase your new tent. Just keep this guide in mind as you make your decision.